Alvaro Morata has rejected reports that he has agreed personal terms with AC Milan and says his aim is to stay with Real Madrid. The Spanish striker has endured a frustrating season on the periphery of Zinedine Zidane’s squad, starting just 17 games and appearing from the bench a further 22 times. But after scoring an impressive 20 goals for the European champions, his transfer value remains high and elite teams across Europe, including Manchester United, are willing to pay big money and offer him a more prominent role in the squad. Reports from Italy claimed he had already agreed personal terms with Milan, but Morata has rejected the idea of moving to the San Siro and suggested his only target is breaking into the Real Madrid starting XI. He told Mediaset Premium: ‘Milan? No, I certainly won’t be in Italy. I want to continue here and it’s difficult. I can only tell you what I read in the papers, I know nothing else. 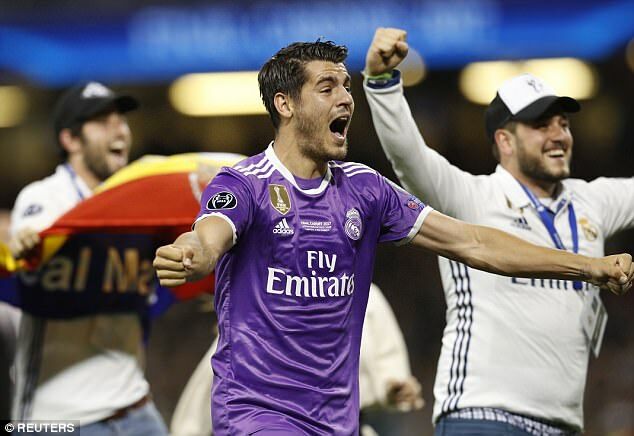 Morata played his second Champions League final in the space of three seasons on Saturday night, coming off the bench in the final minutes to see out Real Madrid’s 4-1 win over Juventus. However, he was wearing a black and white shirt in 2015 and was on the losing side as the Old Lady lost to Barcelona in Berlin. Morata, who was delighted to pick up a winners’ medal, said he felt sorry for Juventus, calling Turin his ‘second home’. 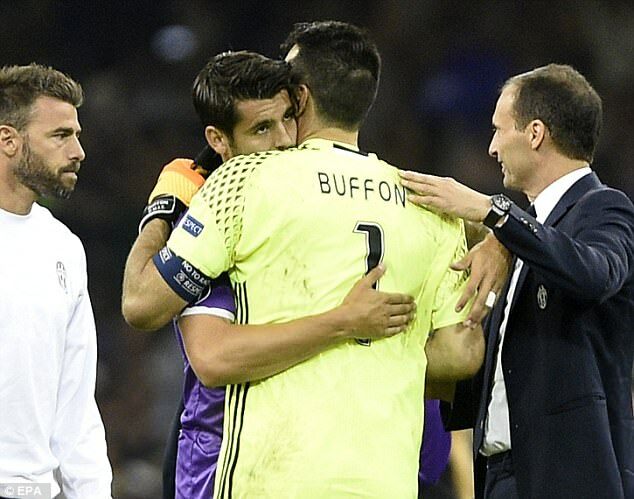 ‘I was in their position two years ago and I compliment Juve, as they had a great Champions League campaign. All these people will always be in my heart. It’s really difficult for me.